Late Night Takeaways 9 Apr 2015 Application to WODC licensing committee was withdrawn today following a series of objections, including the Parish Council’s. 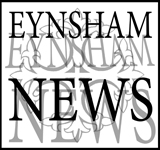 The application to West Oxfordshire District Council licensing committee was withdrawn this morning following a series of objections, including Eynsham Parish Council’s submission dated 4 March. However, that may not mean that the van will leave as the solicitor for WODC said that they may well be able to continue trading on private land (i.e. the pub car park). Residents who attended the hearing may decide to press the cause of the conservation area. Watch this space! !